Call 754-1448 to register or with questions! Pancakes make the day seem a little more special. We typically have pancakes on Saturday morning and while I like mine plain (or maybe blueberries or bananas if we have them), my kids like to have theirs studded with chocolate chips. I may be a bad mom for letting them have what amounts to candy for breakfast but hey, they obviously love this particular tradition. One of the reasons I like to have pancakes for breakfast is that my husband makes them. He never uses a mix. He likes (and we like) this recipe from Cooking Light Magazine 1998. They have a nice texture and don’t have that weird biscuit dryness that some mixes have. If you double the recipe, go ahead and use a whole egg instead of two egg whites—it works out just fine. And don’t feel guilty about adding chocolate chips if you’re so inclined. One more thing–promise me to use real maple syrup if you make this recipe (except if you’re adding the aforementioned chocolate chips)! Combine flour and next four ingredients. Combine buttermilk, butter and egg white. Add to the flour mixture, stirring until barely combined. You can count the number of apples in one tree, but you can never count the number of trees in one apple. Check out the Road to Morocco class on May 10th! 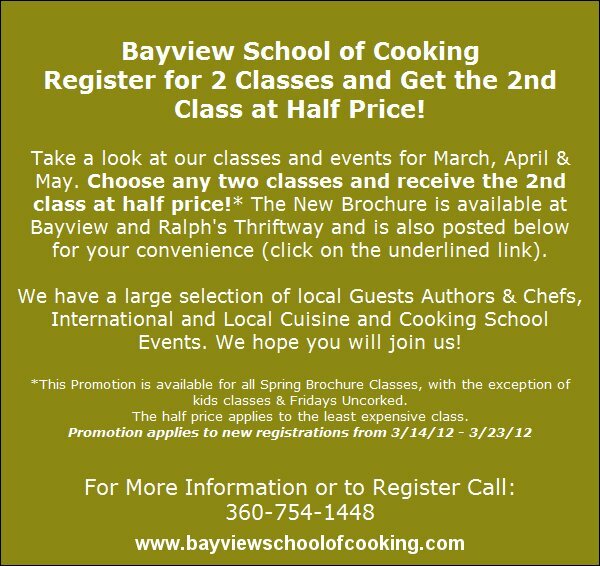 BSC 2 Class Special – A Limited Time Offer!